Home Latest BRC URC TALIM BABAT PARIPATRA DATE-21-6-2018. 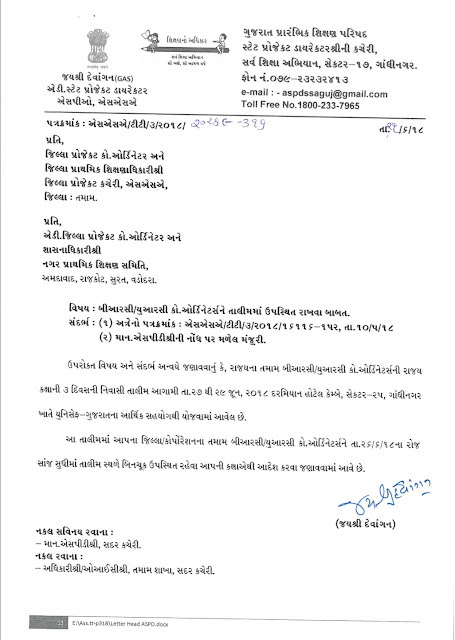 Previous articleAHMEDABAD – JILLAFER BADALI NI SENIORITY YADI(BHASHA,SS,MATHS SCIENCE ) DATE-21-6-2018 JAHER. Next articleSTD-10 MA NAPAS THAYEL PALAK MATA PITA YOJANA NA VIDYARTHIO NE LABH BABAT MAHTVAPURN PARIPATRA DATE -18-6-2018.